Project duration: 1 April 2016 – 1 April 2021. Educational activity is addressing the topics of the primary interest of the RM community: zero waste management and deep intelligent mining, both representing the strategic pillars of the EIT RawMaterials CLC East, followed by small mining sites and recycling being of high regional importance. Educational activity is creating a new collaborative network between 7 HEI and a research institute form 8 ESEE countries, contributing to unique multidisciplinary education programme and overall synergic inter-institutional collaboration, building and de-siloing of the ESEE KIC community. The overall number of academic staff form collaborating institution exceeds 500. Educational activity has already identified 8 ESEE active mining regions of high economic importance and will attract minimum 100 industrial partners (mining and recycling companies; SME and large companies) within 4 years establishing communication, identifying a specific industrial needs, creating new partnerships and contributing to overall KIC community building. DIM ESEE partners come from two sides of the knowledge triangle: academia and research, however, critical tailoring of the DIM program will be done with industrial partners. Also, final users are industrial partners holding a third side of the knowledge triangle. The project is geographically focused on ESEE Region but also captures the aspect of internationalization because countries like Serbia and Ukraine are involved. 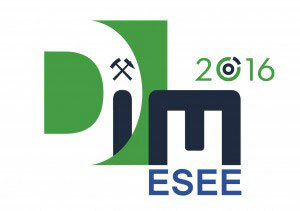 DIM ESEE school will educate minimum 160 professionals, academicians and PhD students within 4 years, according to tailor-made topics: zero waste management; deep intelligent mining, small mining sites and recycling, potentially increasing a number of new demonstration and pilot plants/prototypes, start-ups or new (urban) mines operating in Europe. DIM ESEE school will also serve as an ideas centre/hub within the ESEE partner network increasing a number of successful matches in industrial symbiosis and potential new KIC projects, being a part of the ESEE Regional Innovation Strategy (RIS). Through communication with wider society (web-pages with information at 9 different languages) increase public awareness on environmental aspects of mining and circular economy as one of the main focus of RM community and increase public acceptance of overall mining activities.